Hi there my name is Martyn Priestley and I am the voluntary Wildlife and Field Officer for the Low Moor and Oakenshaw Conservation Group and I will be over seeing this website. I live in the Low Moor area of Bradford and have recorded and studied the wildlife at (the now) Raw Nook Nature Reserve, Caldene Fields and Toad Holes Beck since 1975. The main groups of animals and insects I have studied are birds, animals, butterflies, dragonflies and moths. I submit my records via Mapmate to the Yorkshire Butterflies and Moths, Yorkshire Dragonfly Society, Bradford Ornithological Group and The Bradford Urban Wildlife Group. My records and these groups were instrumental in not only saving the Raw Nook ( Railway Terrace) site but helping in securing Raw Nook to Local Nature Reserve status in 2008 and in fact I had the honour of cutting the ribbon to officially open the reserve….. A moment I will never forget!. 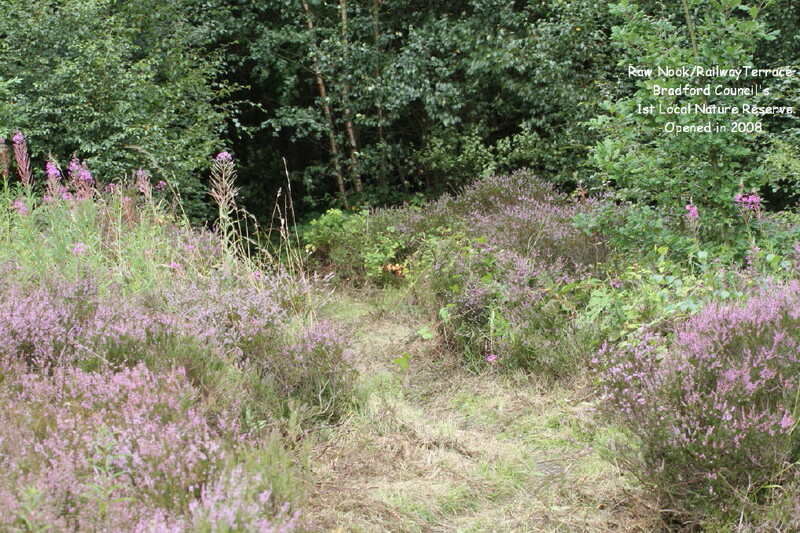 Raw Nook ( Railway Terrace) is Bradford Council’s first official Local Nature Reserve.